Awake and Alert. CHRISTIAN ZIONISTS ARE PHARISAICAL MURDERERS AND MEMBERS OF THE SYNAGOGUE OF SATAN: Will the slaughter in Gaza finally prick the international conscience for firm action? Will the slaughter in Gaza finally prick the international conscience for firm action? “We cannot allow the Israeli government to treat Palestinian lives as inferior to their own, which is what they consistently do,” David Steel tells the House of Lords. I’d like to share with you the speech by Steel (aka Lord Steel of Aikwood) in a recent House of Lords debate, the motion being “That this House takes note of the situation in the Palestinian Territories”. Steel himself opened proceedings with as good a summing-up of the appalling situation as I have heard anywhere. My Lords, I put in for the ballot for today’s debate just after the terrible slaughter of 62 Palestinians inside the Gaza fence, which included eight children. I should at the outset ​declare a former interest. I served for seven years as president of the charity Medical Aid for Palestinians— and I am delighted to see that the current president, the noble Baroness, Lady Morris of Bolton, is to speak in this debate. During that time I visited Israel, the West Bank and Gaza several times, once touring Gaza just after the Cast Lead operation, when I saw for myself the wanton destruction of hospitals, schools and factories in what was described by David Cameron as one vast prison camp. Before anyone accuses me of being one-sided, let me also say that I spent an afternoon with the local Israeli MP in the Ashkelon area in the south of that country and fully understand the intolerable life of citizens there threatened by rockets fired by Hamas from inside Gaza. In fact, long before I got involved with MAP, back in 1981, I first met Yasser Arafat, leader of the PLO [Palestine Liberation Organisation], at a time when our government would not speak to him on the grounds that the PLO was a terrorist organisation refusing to recognise Israel, a mistake that we have repeated with Hamas. As I got to know Arafat over the years, I recognised that he was a brilliant liberation leader but a disappointing failure as head of the Palestinian administration. Indeed, it was the incompetence and even corruption of that administration which led to the success of Hamas in the election in Gaza. But those of us who pride ourselves in democracy cannot just give them the cold shoulder because we did not like the result, and yet that is what happened. The lesson of the successful peace process in Northern Ireland should surely have taught us that the only route to peace has to be through dialogue with those we may not like, rather than confrontation. That brings me to the policy of the current Israeli government, backed by the United States of America and, sadly, by our own government. Israel’s great tragedy was the assassination of Prime Minister Rabin, who had been relentless in his pursuit of an agreement with the Palestinians. The current prime minister, Benjamin Netanyahu, is very different. I met him once at a breakfast meeting in Tel Aviv. I admired his obvious ability and indeed swagger. He could, had he so wished, have gone down in history by heading an administration to pursue a legitimate settlement with the Palestinians based on the 2002 Arab peace initiative, when every member state of the Arab League had offered to recognise Israel and host her embassies in their countries in return for the establishment of a proper Palestinian state. Instead, he has allied himself to the most reactionary forces in the Knesset and come close to destroying any hopes of such an outcome with the growing illegal Israeli settlements on occupied Palestinian land, the construction of the wall, routed in places condemned even by the Israeli courts, and the encouragement of Donald Trump’s opening of the American embassy in Jerusalem. It was that last event that provoked the mass demonstration at the Gaza fence, dealt with not by water cannon but with live ammunition from the Israel Defence Forces. That resulted not only in the deaths that I mentioned but in over 3,600 people being injured. One Israeli soldier was wounded. According ​to the World Health Organization, 245 health personnel were injured and 40 ambulances were hit. Last week, Razan al-Najjar, a 21-year-old female volunteer first responder, was killed while carrying out her work with the Palestinian Medical Relief Society. She was clearly wearing first-responder clothing at the time. In the meantime, the Israeli defence minister, Avigdor Lieberman, one of the reactionaries to whom I referred a moment ago, has declared that there are “no innocent people” in Gaza, while an UNRWA [United Nations Relief and Works Agency] report declares that the blockade situation is so bad that Gaza is becoming unlivable in. 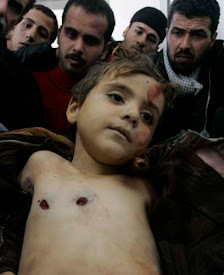 I do not know whether the Israeli government know or care about how low they have sunk in world esteem. When I was a student in the 1950s, many of my friends, not just Jewish ones, spent their vacations doing voluntary work in a kibbutz, such was the idealism surrounding the birth of the Israeli state, but that is no longer the case. The reason I joined the Liberal Democrat Friends of Israel group was that I got fed up with being blamed, as Liberal leader, for the then government’s Balfour Declaration encouraging the establishment of that state, people forgetting that the famous letter included the words, “it being clearly understood that nothing shall be done which may prejudice the civil and religious rights of existing non-Jewish communities in Palestine”. The conduct of its present government is a clear betrayal of the basis on which the Lloyd George government welcomed a state of Israel. I spent some years active in the Anti-Apartheid Movement. Only much later did I realise one noted fact about those who had led the white population’s opposition to apartheid—my dear friend Helen Suzman, Zach de Beer, Harry Oppenheimer, Hilda Bernstein, Ronnie Kasrils, Helen Joseph, Joe Slovo and so many others were predominantly Jewish – which was that they knew where doctrines of racial superiority ultimately and tragically led. I rather hope that the recent slaughter in Gaza will awaken the international conscience to resolute action in the same way that the Sharpeville massacre led to the ultimately successful campaign by anti-apartheid forces worldwide. The Israeli government hate that comparison, pointing to the Palestinians who hold Israeli citizenship or sit in the Knesset, but on visits to that beautiful and successful country one cannot help noticing not just the wall but the roads in the West Bank which are usable only by Israelis, just as facilities in the old South Africa were reserved for whites only. Recently some of us met a couple of Israeli professors in one of our committee rooms. They stressed to us the urgency of staying with UN Security Council Resolution 2334, passed as recently as December 2016, which roundly condemns all the illegal activities of the current Administration. It is worth reminding the House of just three of its 13 clauses, beginning with this one: “Condemning all measures aimed at altering the demographic composition, character and status of the Palestinian territory occupied since 1967, including East Jerusalem, including, inter alia, the construction and expansion of settlements, transfer of ​Israeli settlers, confiscation of land, demolition of homes and displacement of Palestinian civilians, in violation of international humanitarian law”. A second clause reads: “Underlines that it will not recognise any changes to the 4 June 1967 lines, including with regard to Jerusalem, other than those agreed by the parties through negotiations”. A third reads: “Stresses that the cessation of all Israeli settlement activities is essential for salvaging the two-state solution, and calls for affirmative steps to be taken immediately to reverse the negative trends on the grounds that they are imperilling the two-state solution”. Those are not my words: they are taken from the UN Security Council. My mind went back to 1967 when, as a young MP, I was present when our then UK representative at the United Nations, Lord Caradon, led the drafting of Resolution 242 which was supposed to be the building block for peace after the Arab-Israeli war. My complaint is that the international community, including successive British governments, have paid only lip service to that and allowed Israel to defy the United Nations and trample on the rights of the Palestinians. But there are signs of hope. The noble Lord, Lord Ahmad, knows how high he is held in the opinion of the House and we cannot expect him as the minister of state to change United Kingdom policy, but when the Statement on Gaza was made in the other place, two senior and respected Conservative ex-ministers gave strong voice objecting to our current stance. Sir Nicholas Soames hoped that our Foreign Office would “indulge in a little less limp response to the wholly unacceptable and excessive use of force”, while Sir Hugo Swire said that “one reason it is a festering hellhole and a breeding ground for terrorists is that each and every time there has been an attempt to improve the livelihoods of the Gazans, by doing something about their water… or about their quality of life, Israel has blockaded it”. We are entitled to ask the minister to convey to the prime minister that she needs to be more forceful, honest and frank when she next meets Mr Netanyahu. Yesterday’s Downing Street briefing said she had “been concerned about the loss of Palestinian lives”, which surely falls into the description of a continuing limp response. We cannot allow the Israeli government to treat Palestinian lives as inferior to their own, which is what they consistently do. That is why our government should not only support the two-state solution, but register our determination and disapproval of their conduct by accepting the decisions of both Houses of our Parliament and indeed the European Parliament and recognise the state of Palestine without further delay. David Steel, son of a Church of Scotland minister, was elected to the House of Commons as MP for Roxburgh, Selkirk and Peebles in 1965 and, being only 23, was dubbed the “Baby of the House”. He wasted no time making his mark and introduced, as a Private Member’s Bill, the Abortion Act 1967. Following the Jeremy Thorpe scandal he became Liberal Party leader until the merger with Labour renegades that formed the Liberal Democrats. He was elevated to the House of Lords in 2004 as Baron Steel of Aikwood. As Steel mentions in his speech, he served for seven years as president of the charity Medical Aid for Palestinians (MAP), a remarkable organisation that “works for the health and dignity of Palestinians living under occupation and as refugees”. He lives in Aikwood Tower, a Borders fortified house built in 1535 which he painstakingly restored and modernised in the 1990s.